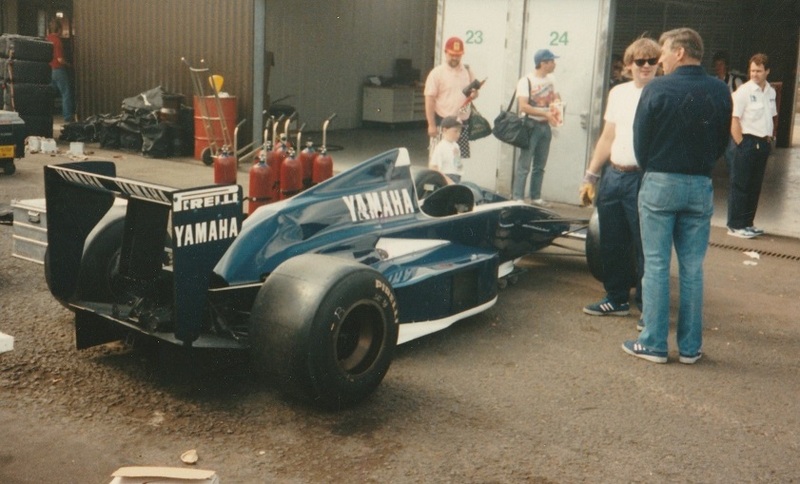 Yamaha has never been a big engine supplier in the Formula One, since they entered the Formula One with the Zakspeed team the company only struggled to make their engines reliable. 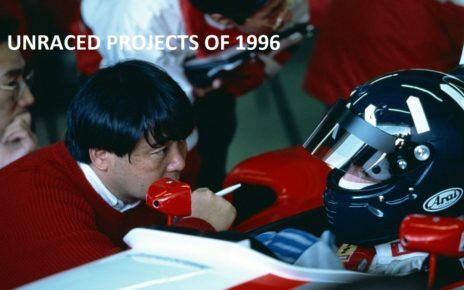 For the 1990 season, the company failed to supply a team, they decided under the leading eye of Takaaki Kimura to reorganize the engine department. This resulted in a new alliance with the Brabham team. And de creating on the Brabham BT58Y(amaha). 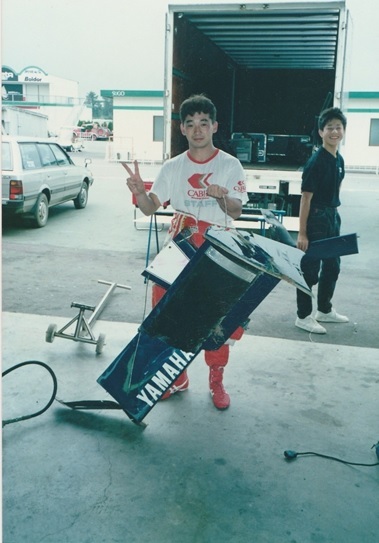 Yamaha’s first season with the Zakspeed team was not a good one. The cars failed to qualify for most of the races, and if they did qualify for a race most of the time, the engines could not hold it or had simply less power. Zakspeed folded at the end of the 1989 season and Yamaha was out of teams to supply. 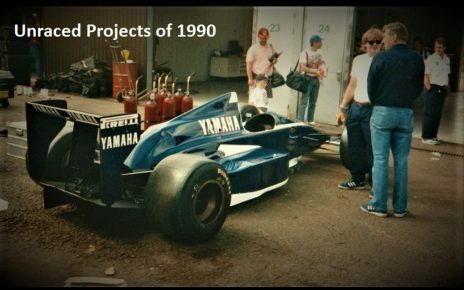 Instead of leaving the Formula One the company decided to take their time and create a brand new V12 engine, the Yamaha OX88 which would be the base for the later Yamaha OX99 engine. 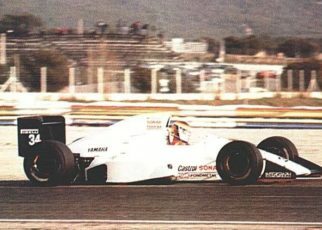 In 1989, Brabham, at that time named Motor Racing Developments, was not the spectacular and championship winning team anymore. Bernie Ecclestone sold the team first to Alfa, when Alfa build the Alfa Pro car, the team was purchased back. TO be sold at the end of 1988 to EuroBrun team owner Walter Brun. It took only weeks for Walter Brun to sell the team to Swiss financier Joachim Luthi, who brought Brabham back into Formula One with the Brabham BT58 powered by a Judd V8 engine. The team had a strange season. At Monaco Stefano Modena scored Brabham’s last podium. The same time both Modena as Brundle struggled to qualify the car. The 1990 season looked more promising for the Brabham team. What many did not know is the fact that Bernie Ecclestone was still involved in the Brabham Team. Brabham and Yamaha made their alliance. It would result in the mostly unknown Brabham BT58Y, which would be intensively tested by the team, weeks after weeks, on many different circuits. I met Martin O’Connor who worked at Brabham in 1990. He told me that he was about to leave the Brabham team, but Bernie Ecclestone told him to stay with the team because he had a good job for him. 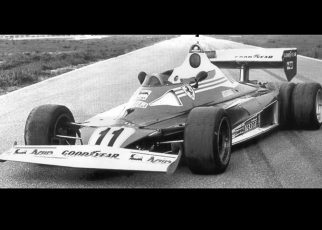 He was told that Brabham just completed their deal with Yamaha and that they needed a car to test the Yamaha engine. One of the Brabham BT58’s would be used for the test hack. 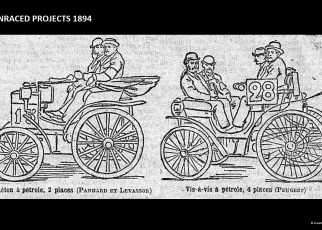 However before the car could be used many modifications had to be made. The engine was a different length and a different shape. There were only 5 or 6 weeks left to clear the job. First of all the team had to mount the engine to the tube and the gearbox. A casting adaptor plate was made for the engine to turn and a machined plate for the engine to the gearbox. This made the car approx. 100mm longer. This meant that the Engine cover floor and the side pods also needed lengthening. The floor had a 100mm cross plate added, and the engine’s cover had to be cut and shut at the rear to accommodate the extra cylinders, as the original engine was a Judd V8. New air box was created along with a new set of headers. Only five people were assigned to build up the Brabham BT58Y and have the car do its testing with the Yamaha XO88 engine. Two design draughtsman, and two mechanics – Mark Borer and ‘Meat head’ and a trucker whist in Japan. 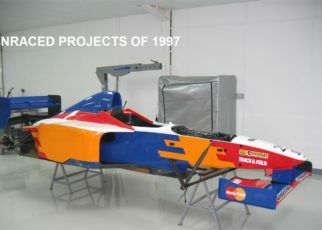 The car got its own space in the race shop, in the same race shop were also the body parts adapted to the car. The most difficult part of the Brabham BT58Y was the fitting of the Air box cover; the group used an old engine cover and cut out the middle of it, as quoted by Martin. The car was finished within the 5/ 6 weeks as asked. Because Bernie already booked the Sugo circuit in Japan. However, the first test would be during the Tire Testing at Silverstone were the Brabham BT58Y would make its debut. The Tyre testing were held 28th and 29th of June. Only David Brabham tested with the car. On the 29th the car and the team’s equipment was packed and the car shipped out to Japan that weekend. During O’Connor’s time away in Japan, on one of his return trips he turned back at the factory, a day before Bernie had padlocked the gates. While rumours appeared that the Brabham Team could not enter their own factory due financial trouble, the test session with the Brabham BT58Y continued In Japans. Sugo – Katayama-san had just crashed the car and damaged the front wing. All made fun of Katayama-san that day – and he took it all on the chin. Great guy. Below is the timetable of the test session with the car. However, there are no lap times noted. The team used previous years Pirelli tyres to test with the car, while they ran out of the old tyres and used the new once the car was at least 1,5second quicker as on the older tyres. 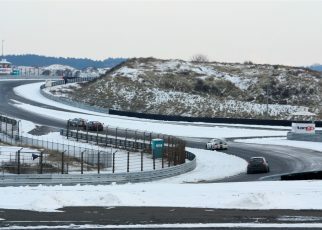 During the first tests the lap times were between 1;10 and 1;15 at Sugo. During the Silverstone test the fastest lap was 1;17.03. However, the testing at Silverstone was more a shakedown for the car. The Brabham BT58Y was also tested on the Fuji track and the Yamaha test track near Hamatsu. However, the dates and details are lost so it is not sure when the test happened. After the intensive testing program of the Yamaha engine, the Brabham BT58Y wasn’t necessary any more. The car was shelved after it. Thank god, we still have the photos and testing footage of the car. I have to admit the livery of the BT58Y looks amazing!